Bats can be beautiful creatures to watch soaring outside at dusk, swooping and flying with wings outstretched. On the other hand, they completely lose their charm once you find out you have bats in the house. If you know or suspect that you have bats in the attic or elsewhere in your home, don’t panic. Help is just a phone call away at ACS Animal Removal, specializing in residential and commercial bat removal in Cincinnati, OH. In certain cases, bat extermination may be called for but as you may know, bats are classified as Federally Protected Animals, meaning it is against the law to kill a bat unless it’s exposed you to a disease. Our professionals fully recognize this which is why we practice proven methods to locate the bats, humanely release them, and seal up the entry points to prevent them from ever re-entering. Once the bat’s removal from the attic is complete, we will then begin the process of cleaning up any mess that’s been left behind. From bat feces to entry point damage, we won’t leave until your house is safe, clean, and back in shape after its visit from unwelcome guests. In addition to bat control and removal, we also provide eradication and management of birds and other pesky critters that may have found a way onto your property. Regardless of how many animals you think may be setting up shop in your home, our professionals are here to tackle them efficiently and safely. We won’t leave until every last critter is accounted for and removed because our priority is our customers’ total satisfaction. We completely understand that having unauthorized wildlife in your home can feel like anything from a minor annoyance to a nightmare scenario, and we’re here for you. 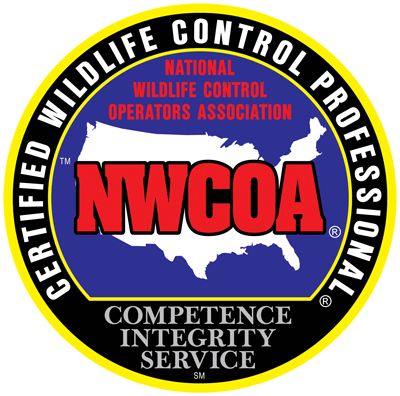 Contact us right away if you suspect you need our wildlife removal services!